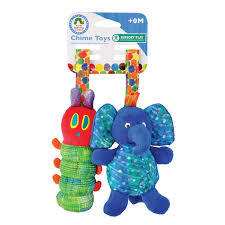 Features teethers, tags, texture, sound, and hook for attaching to cot, pram or car seat. 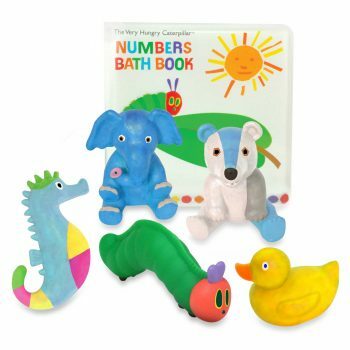 The very hungry caterpillar Bath playset comes with squirting toys and a number book. 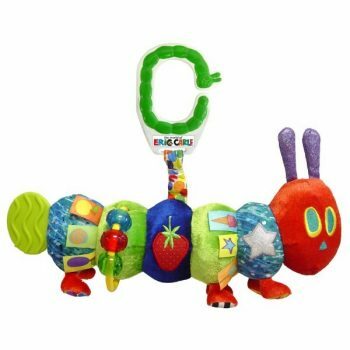 Comes with a pillow. 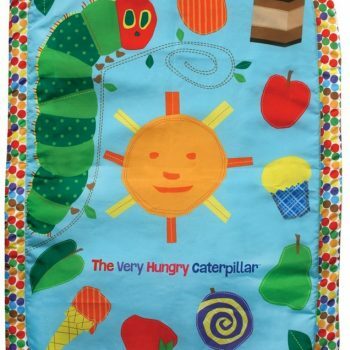 The mat can be laid down for baby to explore and rest. 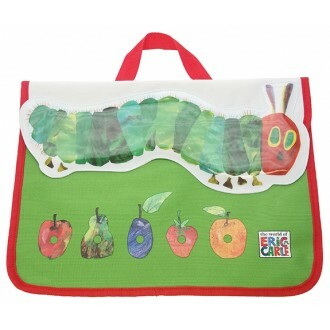 Off to the library or school, don't forget to pack in your Very Hungry Caterpillar book bag.